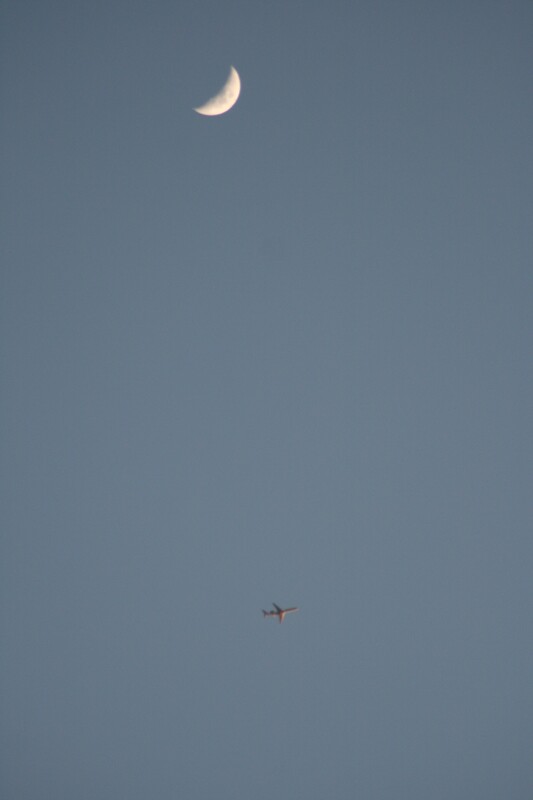 Living where we do, we have commercial aircraft flying over us on a pretty regular basis just about 24/7. 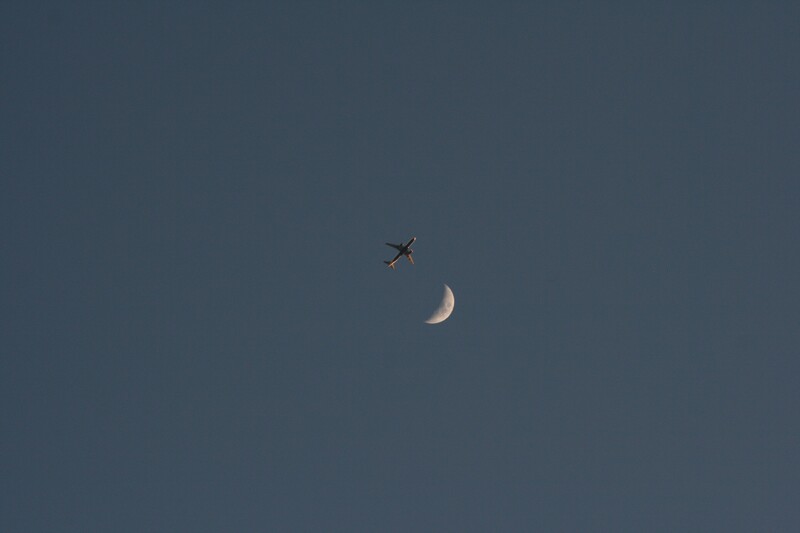 I like to take lots of pictures of planes. I like to take lots of pictures of the moon and planets and stars and the sun and other space stuff. A couple of years back I noticed that the two might come together just right about one or two days a month. I have, of course, always noticed this when I didn’t have a camera, or at least not the appropriate one. And when I’ve said to myself, “Remember to try to catch this tomorrow,” tomorrow has inevitably been cloudy or I’ve been off doing something. Tonight, as I got out of my car, I looked up and saw it again, the absolute perfect picture right there for about half of a second. But today, while I had missed that perfect shot, went in, got my camera, and went to stand out in the street waiting to see if another one would come by. These two aren’t perfect, but they’re pretty close. I’ll keep trying.